Priority 1 meetings have been put on hold because of lack of leadership over the program. “Currently we have no assistant (Multicultural Center) director. We will still have Priority 1, but it may look a little different,” Director Pam Hopson said. The program is for male African-American students and aims to provide support and resources for those students during college. Hopson said Priority 1 has not been consistently present at the university. Excel Mentoring Program began for students eligible for 21st Century Scholars. 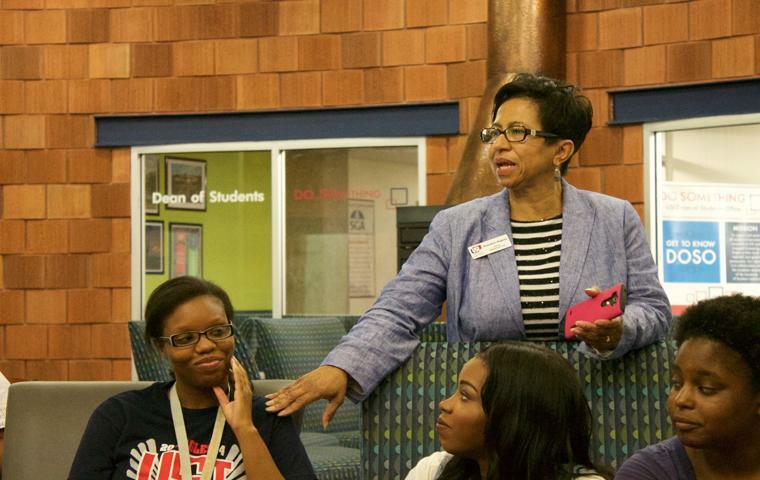 “The breadth of what the multicultural center provided expanded, but the staff did not keep up,” Hopson said. She said Multicultural Center staff wanted to put its energy elsewhere, and the mentoring program became dormant until recently. Hopson said the resurrection of Priority 1 started by offering a program for male students who are either African-American or Hispanic. Last year, the program consisted of mostly African-Americans. Brandon Barton, president of the Black Student Union and a member of Priority 1, said the program provides its students with both support groups and volunteer opportunities. Priority 1 allows students to meet higher-level teachers to aid in their education as well as teaches life lessons such as personal finance and how to save money. Barton has seen Priority 1 develop, especially after a feature in the USI Magazine gave the program exposure and attracted new members. Priority 1 offers support groups, but all of its students are welcome to do homework or even kick back and watch television for a little while in the multicultural center. Barton hopes the program expands beyond current member qualifications. “I would love it to be any ethnicity and both genders,” he said. He said that he witnessed fellow members grow as a result of Priority 1. “There are guys who came in and weren’t confident. Now, their confidence has sky-rocketed. They speak up more and voice their opinions,” Barton said. He also acknowledges changes within himself.